I just realized it is like 20 days that I have not blogged!!! 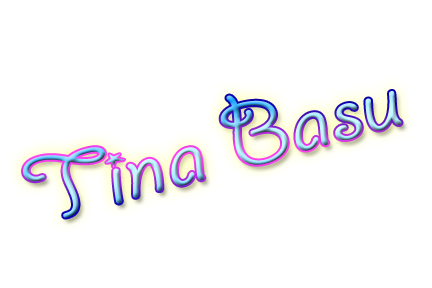 I was getting too worked up blogging everyday for 3 months and now I am restless that I have not blogged for so long. Fingers are itching to type away. I wanted to do so many posts in the last week but somehow my laziness gets the better of me! But today there will be a marathon of posts. Marathon reminds me of the carnage one man did yesterday in Kolkata. I was in a day-long meeting yesterday and wasn’t checking tweets, news or anything. Only in the evening I realized I was not part of a history that was created in Eden Gardens by Rohit Sharma. I mean what did he eat yesterday? 264???? Are you like kidding me? It freaked me out when I saw my twitter timeline. Now I have reduced watching cricket if not already stopped ever since our god Sachin Tendulkar retired. But last night I went back home, saw the highlights, and even the after match analysis by Gautam Bhimani and was so elated with the fact that someone did this actually!!! I still don’t believe it 264!!! In an ODI!!!! This streak of 200 in ODI was first introduced by our very own Master Blaster and then it has been like a habit of Indian batsmen to score 200+ in ODI. 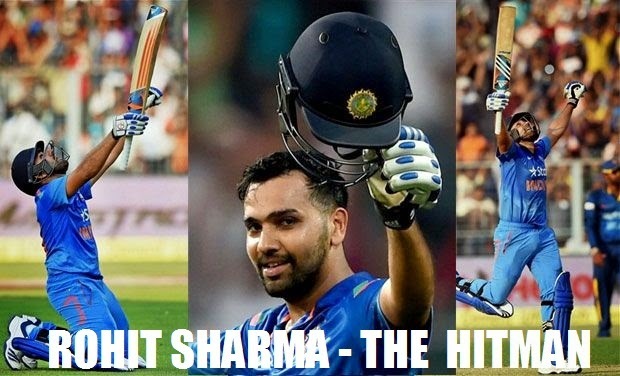 Sehwag did it, Rohit himself did it – but this one is like the Everest!! 33 boundaries!! 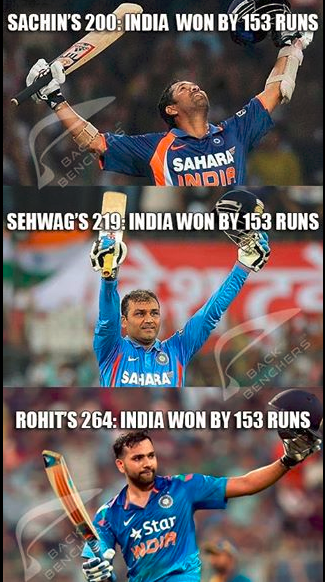 And I am so happy that all 4 double centuries in ODI are by Indians!! That patriotic feel you get after a cricket match! There are hilarious memes and jokes doing he rounds across the internet on this carnage and I was reading them when I thought of sharing some trivia and jokes here. Did you this 200s by Indian batsmen is the mother of coincident. Check this out. Sometimes its real fun to go through the memes. Okay now a puzzle. I was given this puzzle last evening and i answered correctly. Now it’s your turn to give me the answer. 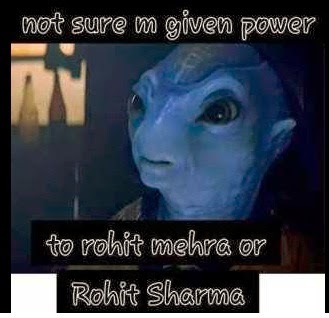 Well if its Rohit Sharma he can achieve it actually. « Now You can Get a better Car with Quikr NXT!